What is in every backpacker’s rucksack? 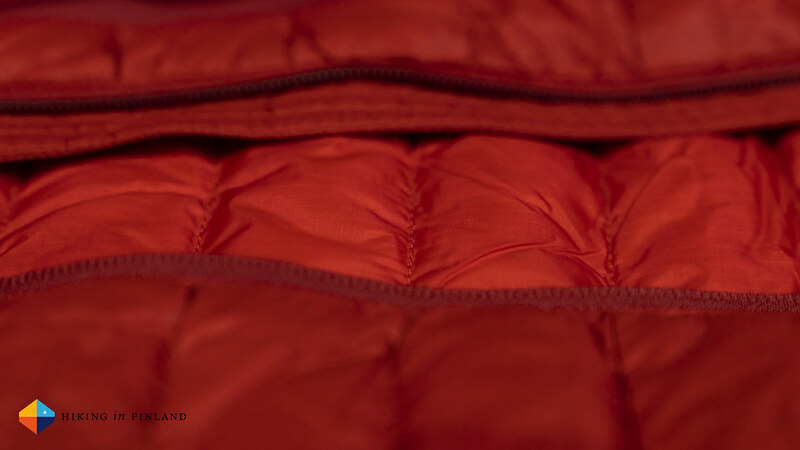 A warm, puffy jacket to put on in brakes and at camp. 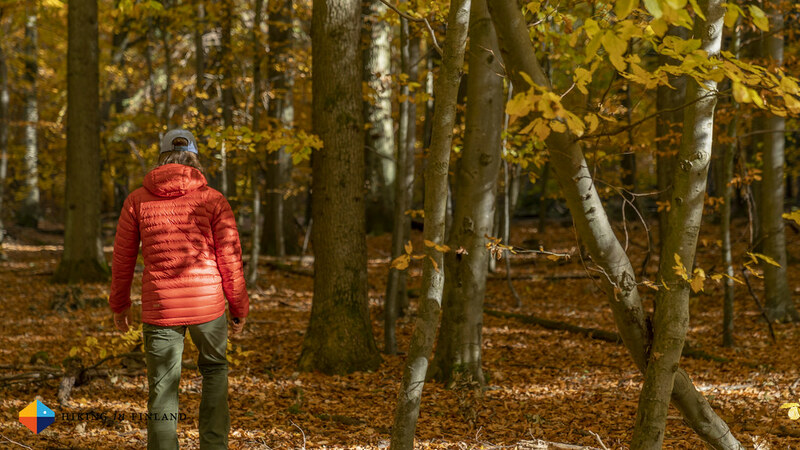 On my last trips that puffy jacket was the Rab Microlight Alpine Jacket for me, and it already has become a favourite piece of kit. Disclosure: This article has been supported financially and with gear from Rab. As you know: I’m keepin’ it real and tell you how it is - I maintain full editorial control of the content published on Hiking in Finland. Read the Transparency Disclaimer for more information on affiliate links & blogger transparency. 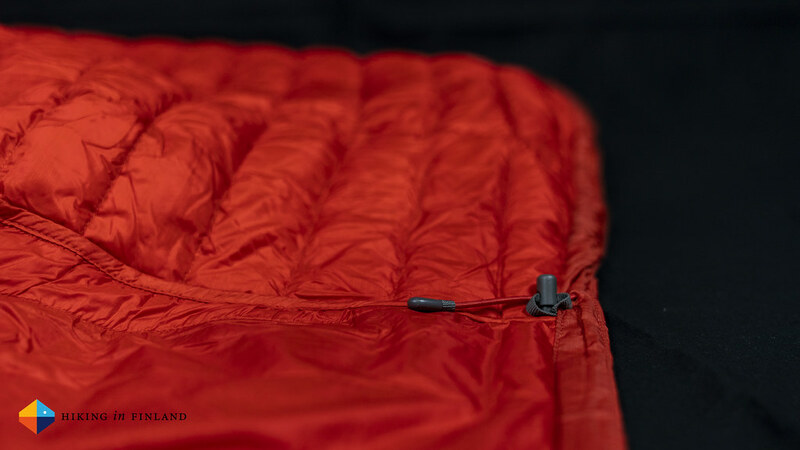 The Rab Microlight Alpine Jacket arrived in time for autumn backpacking trips with me, and has been along on two long backpacking trips this fall, and several photography assignments. It has seen over three weeks of use, and will see many more! Well, for me this is a jacket which stays in the backpack until I stop to make a break or arrive at camp, where it comes out and on. Depending on the weather and pace it also gets worn when on the move, but as I am running easily hot I find wearing a down jacket for hiking absolutely not good as I quickly am sweating too much then. But for outdoor and landscape photography it is great again - especially right now as the temperatures are only around -7°C and windy. But I digress. 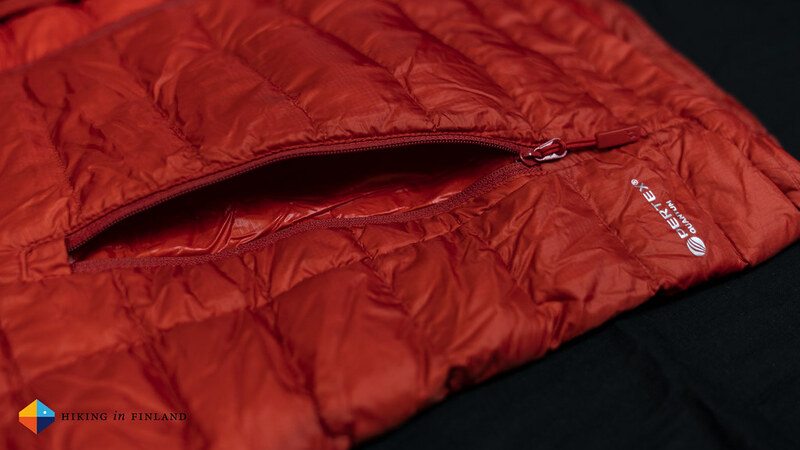 The main function of a down jacket is obviously to keep the wearer warm in cold weather. In recent reviews this is usually a section where I write “Nope, no innovations here.” Well, not this time! We got a hood which lays flat when not on your head - really nice! 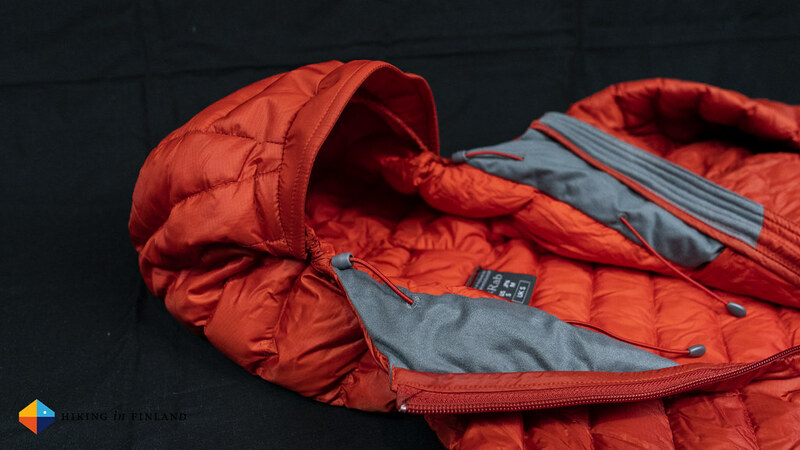 The Responsible Down isn’t super-new anymore, though nevertheless it is good to see that this jacket uses Ethically-Sourced European Goose Down, which is Hydrophobic on top. 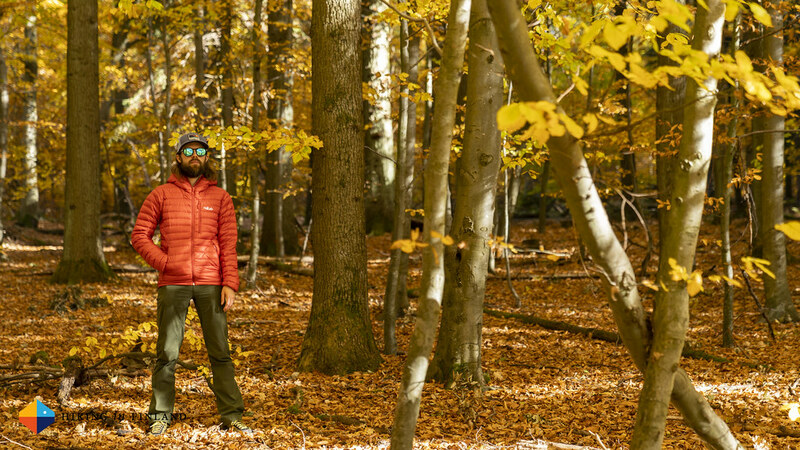 Rab wouldn’t be where they are today if they wouldn’t make high-quality kit, and the Microlight Alpine Jacket is no exception. My red Microlight Alpine Jacket weighs 377 g in Size S, with the included Stuff Sack adding 12 g.
One of my first ultralight garments was the Rab Microlight Vest, a great piece of kit, so when I saw the Microlight Jacket at the ISPO earlier this year I knew I wanted one and take it out into the hills. Since it has arrived this jacket has not disappointed and it has been used a lot since - as it has been fresh outside in recent weeks it was good to have a light and warm jacket to put on when I head out to shot videos or take photos. The main use obvious remains for me as an insulation piece when I go backpacking. 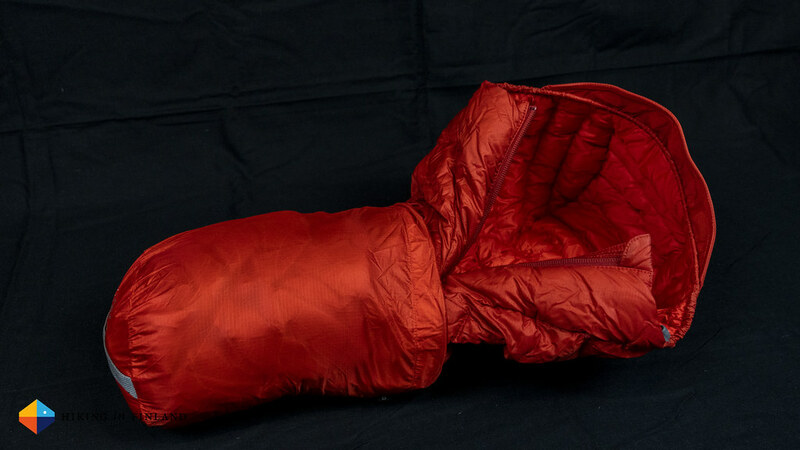 For that I need the jacket to fulfil three things: It needs to be light, it needs to pack down small & compact as it will be the majority of the time in the backpack, getting carried around, and the third thing is that it needs to be warm - or toasty as I like to say! As you can see from the photos here, on the accounts of being light & compact the Microlight Alpine scores very well, and I find it a toasty warm jacket, too. 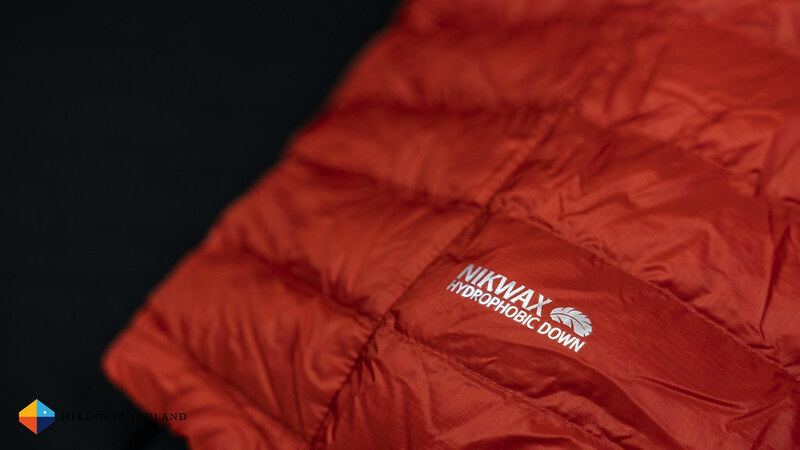 While many people like to use a down jacket as a midlayer, it’s that only for me if it really, really cold. I wear the Microlight Alpine usually at camp over a shirt and midlayer, and thanks to the DWR coating of the Pertex fabric it also withstands some rain and keeps the wind at bay. So after a day of being carried around, being put on in breaks throughout the day, the down jacket comes on as soon as I arrive at camp. If it is raining I will put the Microlight Alpine on and put my hardshell over it, though even when it has Hydrophobic Down I don’t want to wet out the down jacket. 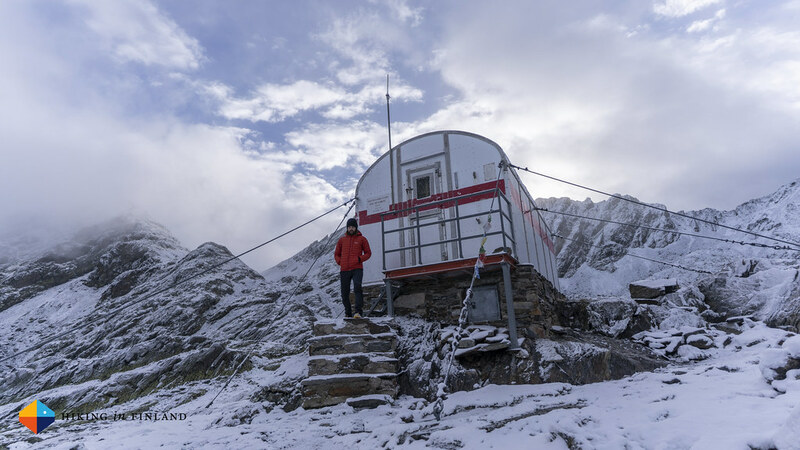 I’ll potter around camp with the jacket on, usually taking photos and videos till late at night when the conditions are good, and then get to sleep. 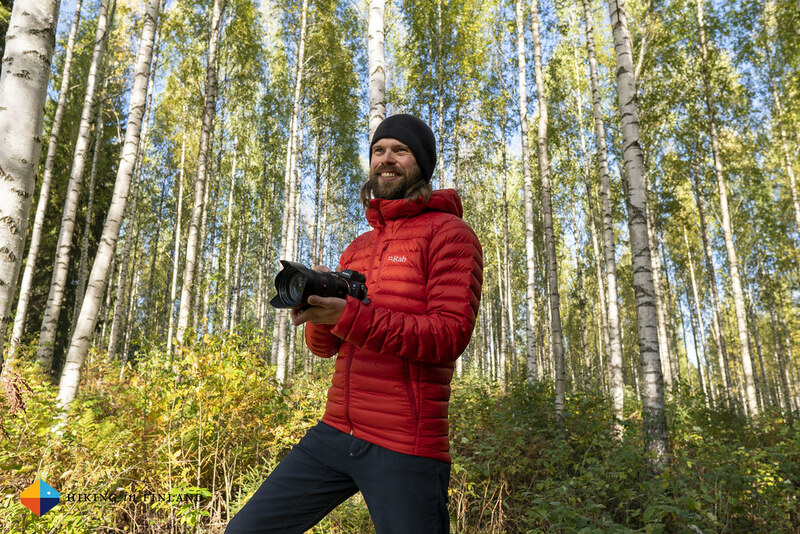 That’s where the Rab Microlight Alpine Jacket can perform it’s third crucial task: Rolled together into the hood it makes for a comfortable pillow. I stopped carrying a pillow several years ago and now always use a puffy insulation garment for that task, and the Microlight Alpine makes for a comfortable and warm pillow to rest my head on. 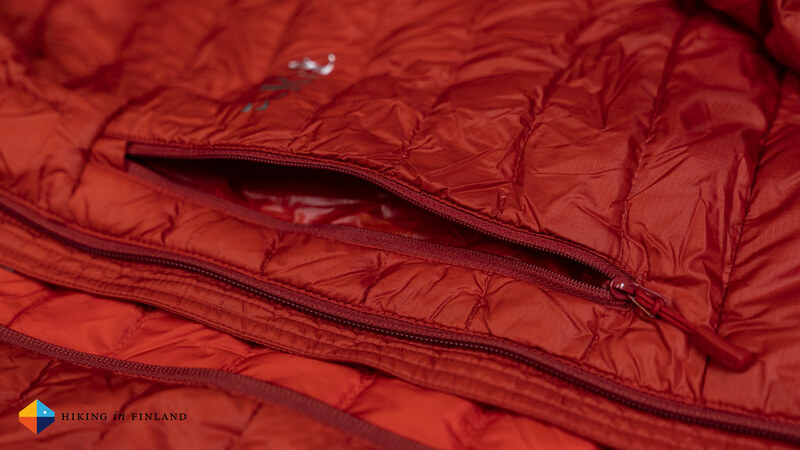 The Microlight Alpine has not one, not two, no, it has three zippered pockets. Hallelujah! I love zippered pockets. There’s so many down jackets which have no zippered pockets - and while that saves weight I always find that a shortcoming. Zippered pockets mean you can not lose the things you put in them (if you remember to close the zipper!) and especially if I am out taking photos or videos that is so useful. In them pockets I can store my remote, filters, cables and other things, without needing to worry that they drop out when I scramble around to look for a better perspective. Now the Microlight Alpine has a hood, and it is a good and warm one. It has a brim and peak and both are really well implemented in my opinion, they let you see everything but keep possible snow or rain out of your face. The only thing which I find not super is that the adjustment cords are on the inside of the jacket, I prefer these on the outside as it makes it easier to adjust them. On the inside there is also a fleece lining around the area of your chin and neck, which feels much better against the skin as a cold zipper. Well, I always could do with an even lighter jacket - maybe one which is filled with 1000 cuin down and is made from a 7D fabric?! Seriously though, I find it slightly annoying that the adjustment cords for the hood and hem are on the inside of the jacket, which for me means I need to adjust them with the jacket open. On the plus side, if you do this at home when you get the jacket, and not at -10°C in a freezing cold wind, you probably will be fine! Sometimes it also feels that the jacket needs a wee bit long to loft (that the down decompresses) but I don’t think this has a huge impact of the warmth - at least I always felt warm as soon as I put it on. Throughout the last ten years I have used many down garments, though I often tend to come back to those favourites when I can. 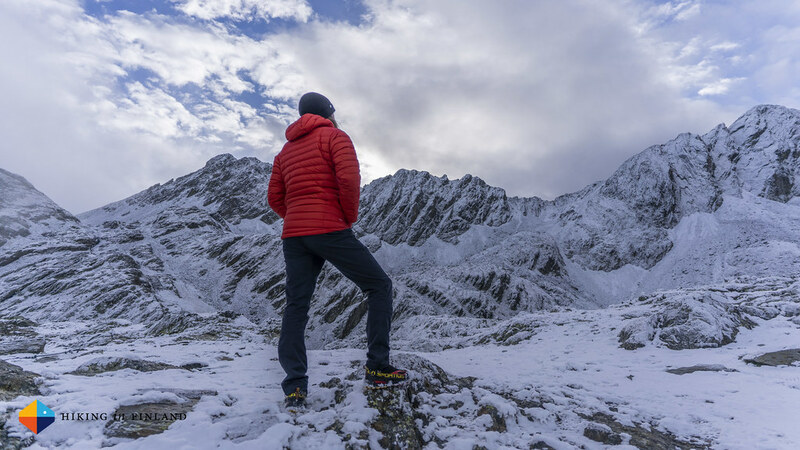 The Rab Microlight Alpine Jacket has already become such a favourite - it is toasty warm, packs compact and is light. It looks good on photos which for my work is pretty important, too. The three zippered pockets are wonderful, and if it is only to have my hands out of the cold wind. 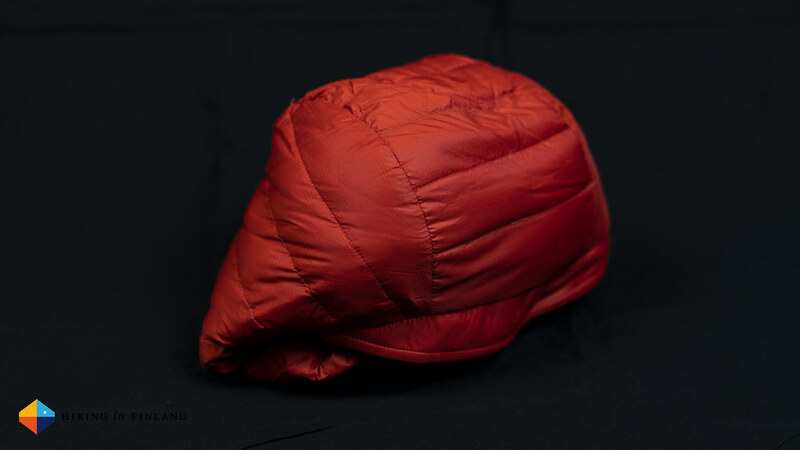 When I head out on a photo shoot this is an essential piece along from autumn till spring, and it will find it’s way into my backpack year-around when I go out backpacking where it also performs well as a pillow. It has the freedom of movement to also allow me to go ice climbing and ski-touring in it, so I will try that this winter with it, too - after all, it is made for the alpine! Disclosure: There are affiliate links in this article to help finance the website. Read the Transparency Disclaimer for more information on affiliate links & blogger transparency.